Henrik Mortensen's version of Scandinavian casting was designed to catch fish no matter where the caster is on the river--it is the most adaptable and flexible casting technique, giving the flyfisher the ability to handle any situation he encounters effortlessly. 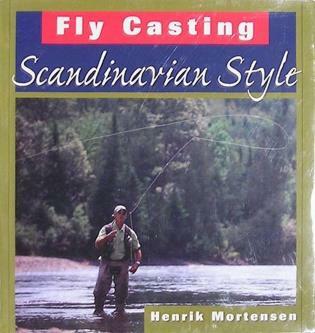 Mortensen shares the essentials of fly casting with single- and double-handed rods in the Scandinavian tradition, beginning with the basic technique of the overhead cast. An explanation of the physics of the proper cast--and how the rod, line, leader, and fly work as a balanced unit--tell how Scandinavian casting makes it a pleasure to cast and fish. The author covers the tried-and-true knots that are best for this style of casting and how to add the single and double haul to your casts. Henrik Mortensen, a fly tackle designer with Zpey, travels extensively and teaches casting seminars. His website is www.henrik-mortensen.com. When he's not on the road, he calls Osprey, Florida, home.